Ms. Assero leads Research Communities Marketing & Advocacy initiatives at 23andMe. 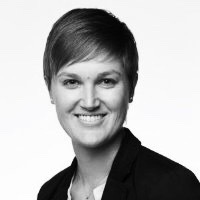 Prior to joining the team, Arin was a healthcare industry executive specializing in advocacy relations in both the non-profit and for-profit industries where she focused on organizational development, international stakeholder engagement, public policy, cross-industry coalition building, disease awareness, and patient education. 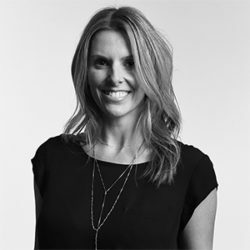 She is passionate about healthcare and social justice and is deeply committed to empowering consumers to take ownership of their health and well-being. Stacey joined 23andMe in 2016 as a Medical Affairs Associate. Her role is mostly internal facing, ensuring clinical credibility related to health-oriented products, services, communications, and marketing. She also provides strategic advice, aiding in various functions including product development. Dr. Ewing is a healthcare geneticist and licensed-certified genetic counselor with 11 years of clinical and research experience in genetics. She joined 23andMe in April 2018 as a Medical Science Liaison and the foundational member of the Clinical Development Division of Medical Affairs. Dr. Ewing serves as a clinical domain expert and product information specialist with a focus on the establishment of external relationships with key opinion leaders and educational development. Prior to joining the 23andMe team, Dr. Ewing developed and implemented a cancer genetic counseling program for Cancer Treatment Centers of America’s southeastern region. She also served as an adjunct instructor for the Emory University Genetic Counseling Program. 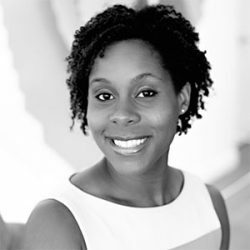 Dr. Ewing holds a PhD in Human Genetics with a specialization in Genetic Counseling from Howard University. During her training, she spent time at the NIH in the National Human Genome Research and the National Cancer Institutes. She also had the privilege of providing genetic counseling services to patients at Walter Reed National Military Medical Center. Dr. Ewing completed her postdoctoral fellowship in Cancer Control and Prevention with a concentrations in Cancer Health Disparities and Health Equity at Johns Hopkins Bloomberg School of Public Health. Anne joined 23andMe in June 2018 as a medical education content specialist. In her role, she is responsible for developing educational initiatives that equip health care professionals to better integrate personalized genetic information into the everyday care of their patients. 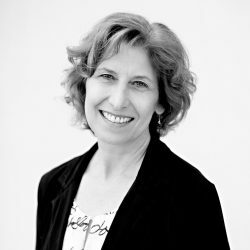 Anne is a board certified genetic counselor with over 25 years of experience in genetic counseling program leadership, medical education and administration. Most recently, Anne directed the Joan H. Marks Graduate Program in Human Genetics at Sarah Lawrence College where she led efforts to increase the program’s training capacity so more genetic counselors are available to meet the needs of patients and their families. Anne’s career in higher education includes teaching and curriculum development in a medical school setting. She was an editorial board member of a peer-reviewed repository of genomics educational materials for genetic counselors, nurses, physician assistants, pharmacists and physicians. She also served as president of the American Board of Genetic Counseling. Anne earned her graduate degree in medical genetics from the University of Wisconsin – Madison. 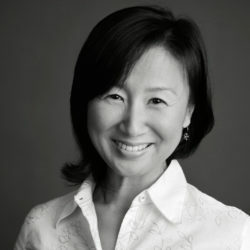 Dr. Kim leads education initiatives and strategy at 23andMe. 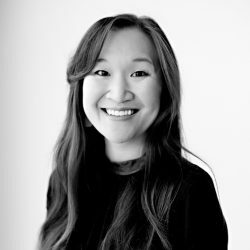 Prior to joining 23andMe, Dr. Kim was Medical Director at IntraMed where she delivered content-rich, clinically meaningful CME programs across all therapeutic areas for pharmaceutical and medical device companies. At Kaiser Permanente in Northern California, Dr. Kim developed and implemented the region-wide population management program. She also worked as a primary care pharmacist optimizing therapeutic outcomes for individual patients with chronic conditions. Dr. Kim received her Doctor of Pharmacy with honors from the University of California, San Francisco and completed her primary care pharmacy residency at the Los Angeles County and University of Southern California Medical Center. She earned her BS in Biochemistry from the University of California, Los Angeles. Dr. Jeffrey Pollard is primarily responsible for maintaining the clinical integrity of the 23andMe service. In addition, Dr. Pollard helps to advance the integration of personal genomics into the modern medical environment through educational initiatives and strategic engagement with integral members of the healthcare system. He has over a decade of hands-on clinical experience, including owning and operating a multi-center medical practice and serving as a regional educator for the pharmaceutical company Allergan. Prior to joining 23andMe, he was the Medical Director for HealthTap and continues to be an advisor to innovative digital health companies. 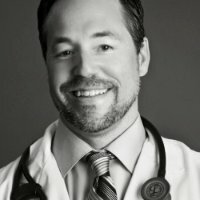 Dr. Pollard is a double board-certified physician and surgeon with a BS in Health Psychology from Duke University and an MD from Vanderbilt University. He completed his residency in Otolaryngology-Head and Neck Surgery at Stanford University and fellowship training in Facial Plastic and Reconstructive Surgery at Tulane University. Eloycsia is a healthcare professional with over 8 years of experience working in Health Education at both the local and state levels. She joined 23andMe in November 2018 as a Medical Education Project Manager. She serves as a health education expert and lead on managing projects that elevate 23andMe in the clinical environment. Prior to joining 23andMe, Eloycsia worked as a Disease Management Program Manager, where she focused on Diabetes, Asthma, and Pain Management/ Opioid Safety initiatives. Eloycsia has a MPH in Health Education from San Francisco State University and a dual B.A. degree from the University of California, Davis. During the course of her graduate studies, Eloycsia interned with the Communicable Diseases Program at Contra Costa Health Services, working alongside epidemiologists conducting disease investigations. Eloycsia completed her postgraduate fellowship with the California Epidemiologic Investigation Services (Cal EIS), a CDPH program, where she led a quality improvement assessment on the Evaluation of Long Acting Reversible Contraception Methods in School Based Health Centers. Ms. Ting’s primary responsibilities at 23andMe include building infrastructure, operations, and partnerships for the company’s advocacy function. She is passionate about 23andMe’s mission and is committed to advancing health and social justice. Prior to joining the team, her experience includes consumer partnerships at a healthcare startup, corporate development for a biotech company, launching a maternal and child health lab at Stanford Medicine, and global health strategy and investment at the Bill & Melinda Gates Foundation. Ms. Ting has a B.S. in Business Administration and a B.A. in Psychology from the University of California, Berkeley. She has a Masters from the Stanford Graduate School of Business and is the recipient of the Frances and Arjay Miller Prize in Social Innovation. Olivia joined 23andMe in December of 2018 and is primarily responsible for providing a clinical lens to 23andMe’s health product and research initiatives. She has over seven years of direct patient-care experience in the fields of oncology and clinical research, working across various delivery settings, including inpatient, outpatient, and infusion clinics. 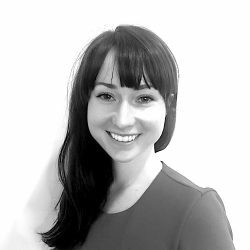 Olivia most recently worked as a Nurse Operations Lead for a start-up called Driver, where she informed product development and customer care from a clinical perspective. She is passionate about leading change in the healthcare industry, and empowering all nurses to influence the future of healthcare delivery. 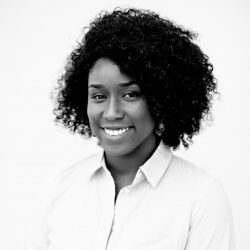 Olivia is a Registered Nurse with a BS in Biomedical Sciences from the Rochester Institute of Technology, a BSN from Johns Hopkins University, a certificate in Data Analytics, and is near completion of her Master’s in Health Care Delivery Leadership from the Icahn School of Medicine at Mount Sinai.